The video above is output from the scanning software I used. For my 3D printable file, click here. 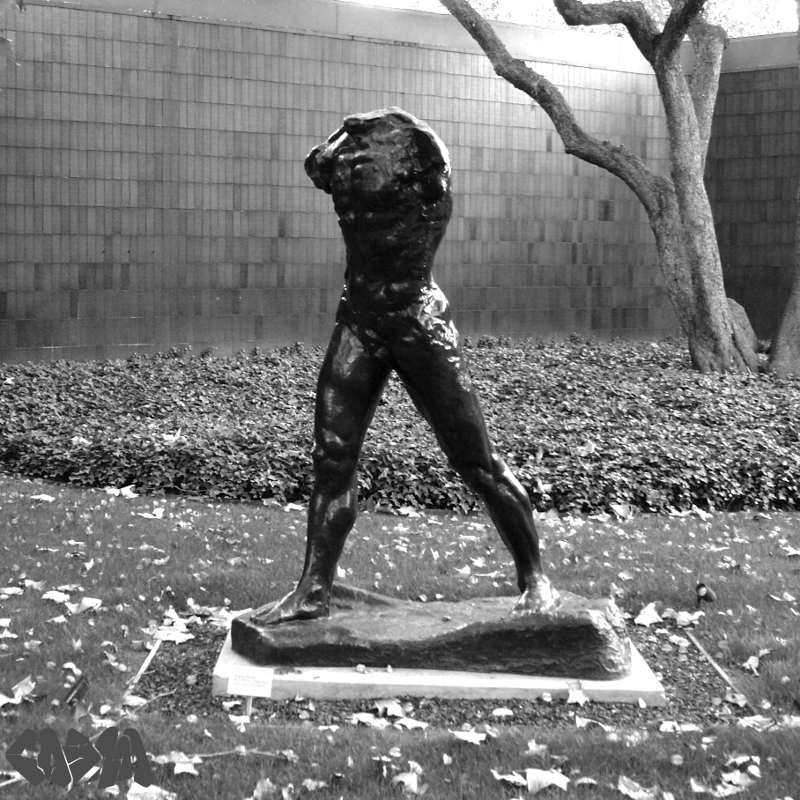 I updated the Wikipedia entry for Rodin’s masterpiece to include references to my scan file. Until a museum releases a higher quality scan of this piece, mine is the definitive publicly available 3D map of this monumental work of art. 3D print and photo of my scan by MakerBot Industries. My print, made on my MakerBot Replicator, bronzed and patinaed with Alternate Reality Patinas, held up to its ancestor (itself a duplicate) at the Norton Simon Museum, November 2012. This entry was posted in 3D Scanning, Alternate Reality Patinas, Commentary. Bookmark the permalink.